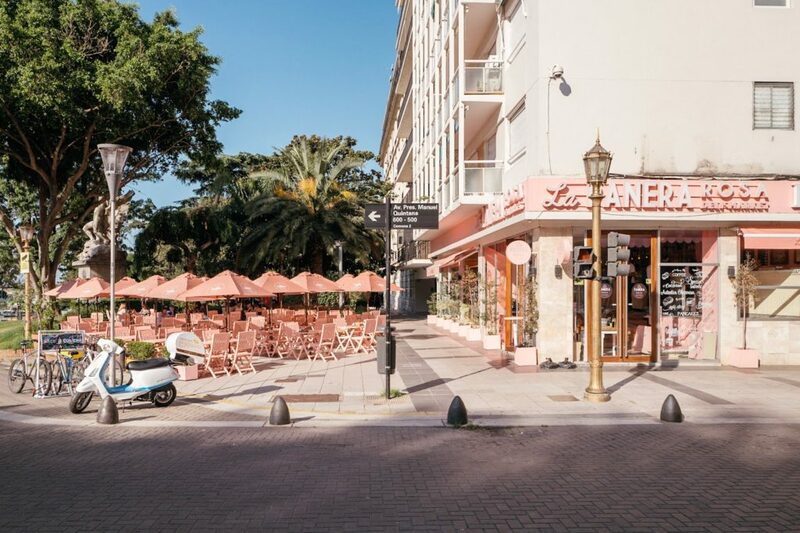 I spent my New Years traveling through South America, starting off in Buenos Aires, Argentina. 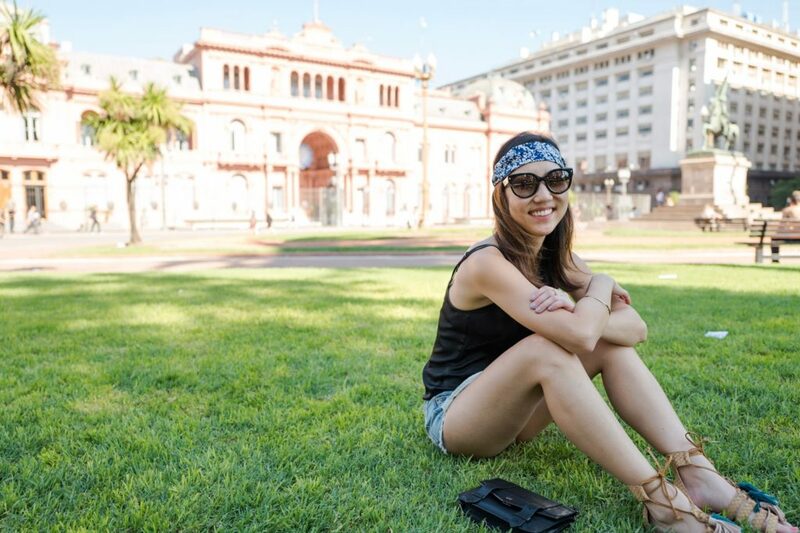 Did you know that Buenos Aires is the 4th largest city in the world? A large reason why Josh and I decided on South America was because December-March is their summer. Little did we know that it’d be 90°F with intense humidity. To help bear the heat I wore a simple silk camisole over a bralette, and a headscarf to help with sweat. 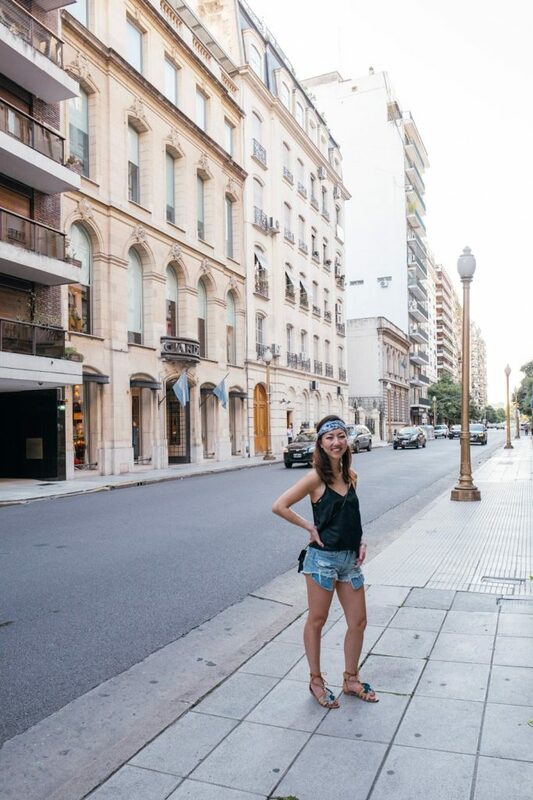 This outfit worked out favorably in allowing me to explore Buenos Aires comfortably. Some of my favorite times included just roaming the city and admiring all of the Spanish colonial architecture. 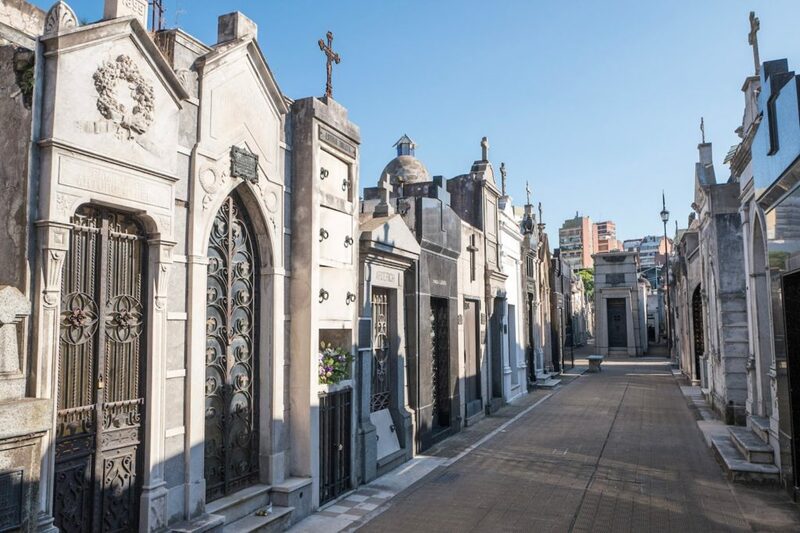 Click below to see some of my favorites while exploring Buenos Aires. Buenos Aires is full of neoclassical architecture due to the Spanish colonization in the 1800’s. This was taken randomly on our way to lunch. 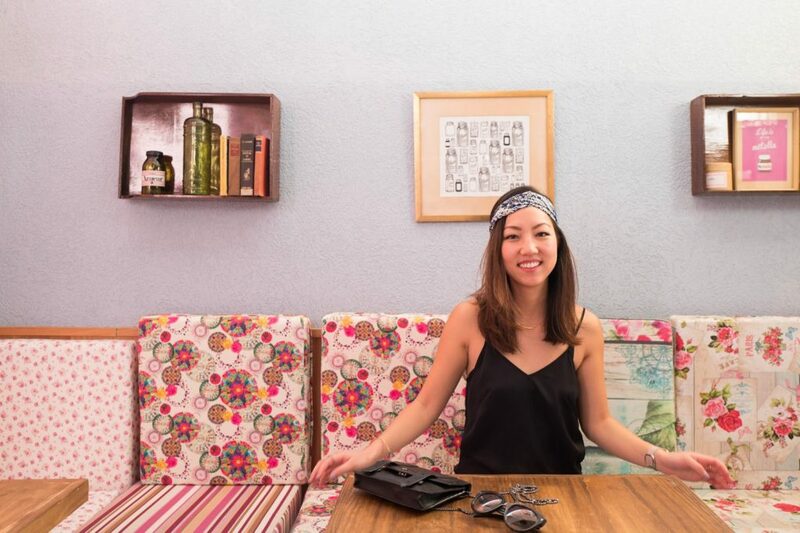 Buenos Aires is full of cute cafe’s and bars, a lot which offer free WiFi too. 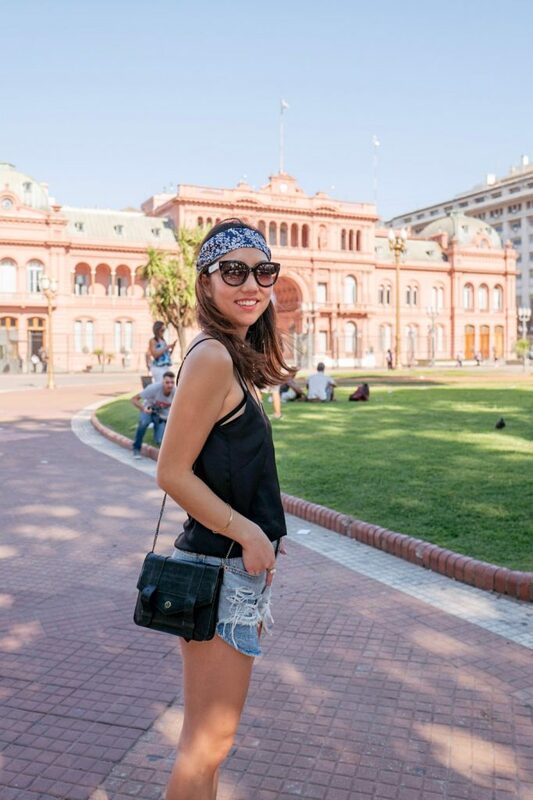 Hanging outside of Casa Rosada (literally means pink house) which is the executive mansion and office of the President of Argentina. 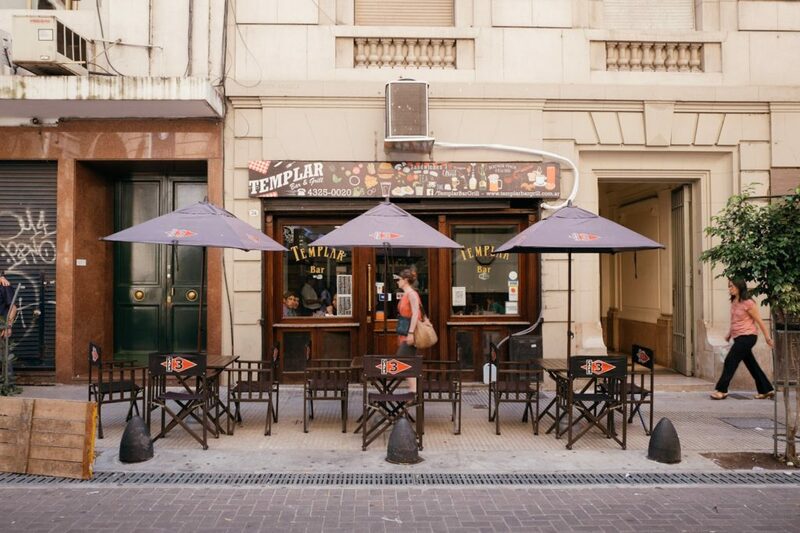 A great hangout spot in the summer. There were lots of locals just sitting down on the grass with friends or reading a book. 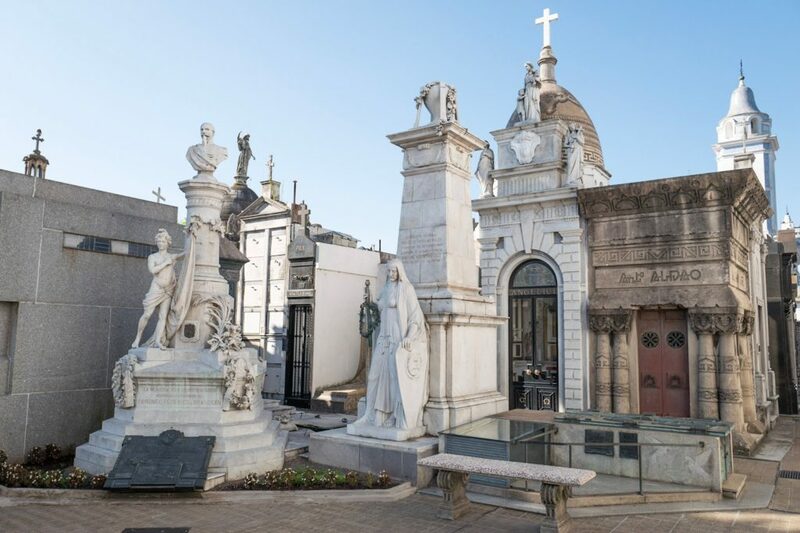 I highly recommend visiting La Recoleta Cemetery if you’re in Buenos Aires. 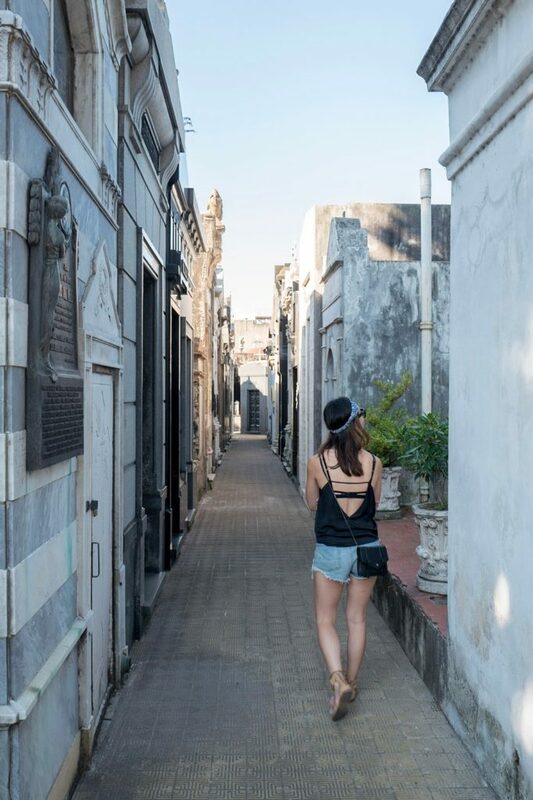 The cemetery is exceptionally large, beautiful, and each tomb is so unique and ornate. Presidents, Noble Prize winners and other famous people have been buried here. We got here 30 minutes before they were closing, but I easily could’ve spent another 30 minutes here. Make sure to check the times before you go here. We stumbled across a super cute ice cream shop a few blocks from the cemetery which was perfect for the weather. The inside of La Panera Rosa was super cute and spacious too. Great for large parties and a great place to relax. 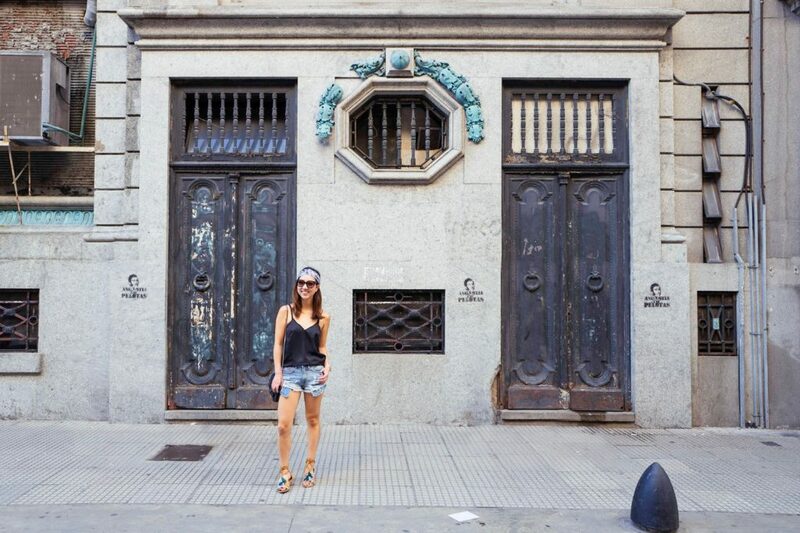 Felling the Buenos Aires flair! This was taken while waiting for my Uber to go back to our hotel. Looks like a great place to be, nice photos. Greetings!